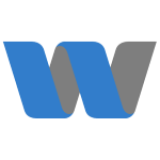 Is wbReactiv still working on current Joomla version (3.8)? It's a basic yet very important extension: I'll also pay for it! It should and I have no report it would not. Note that latest Joomla version is actually 3.9! Hi, I have just installed it on joomla 3.9 and it is not working. There is no resend button as in your documentation. The plugin is enabled. Best wishes. On 3.9 the plugin is not working! We are using this plugin on a regular basis on this site so we know for a fact it does work, including with Joomla 3.9.1 which is Joomla current version as of today. Please note that a resend button is only displayed for users who need it (ie non activated users). Which means that on most sites, you will never see any button as users normally validate their accounts. 1 - be sure to use the native Joomla admin template. Any other template can kill the CSS of the buttons and hide them. 5 - Disable one by one plugins that are running in the admin and could interfere.